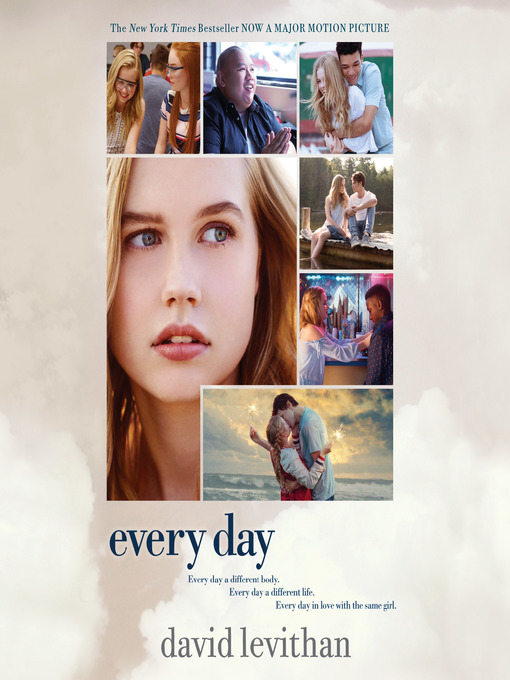 A special movie tie-in edition of David Levithan's New York Times bestseller, now a major motion picture starring Angourie Rice of Spiderman: Homecoming and The Nice Guys—in theaters February 23, 2018! There's never any warning about where it will be or who it will be. A has made peace with that, even established guidelines by which to live: Never get too attached. Avoid being noticed. Do not interfere. It's all fine until the morning that A wakes up in the body of Justin and meets Justin's girlfriend, Rhiannon. From that moment, the rules by which A has been living no longer apply. Because finally A has found someone he wants to be with—day in, day out, day after day. But can Rhiannon love someone who is destined to change every day? "Every Day" copyright © 2018 Orion Releasing LLC. All Rights Reserved. Cover courtesy of MGM Media Licensing.